This paper presents the published and unpublished stable carbon and nitrogen isotope values for 36 European Upper Paleolithic humans from 20 sites. 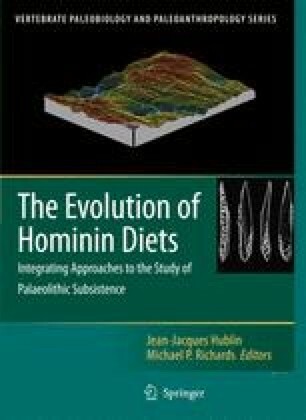 The isotope data were measured to determine the sources of dietary protein in Upper Paleolithic diets; the evidence indicates that animal, not plant, protein was the dominant protein source for all of the humans measured. Interestingly, the isotope evidence shows that aquatic (marine and freshwater) foods are important in the diets of a number of individuals throughout this period.